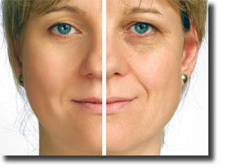 The duration of a face lift recovery depends of course upon what all has been done. The face lift can vary from correcting a few areas that need it, to essentially working the entire facial area over. Healing will generally take place in a week to 10 days, but depending upon the nature of the operation, a complete recovery may take much longer. To get a better grasp of what face lift recovery is apt to involve, its best to take a look at what the procedure itself consists of. Anyone who has a face lift should reasonably expect an improved appearance after the procedure has been done and recovery is complete. How successful the face lift will be in accomplishing this goal is dependent upon several things, first and foremost the condition of the skin. Fine lines and wrinkles are usually the first target, but are not found in the same places on everyone. Some have puffy cheeks, others have hollow cheeks. The procedure will differ slightly in each case to attain "normal" cheeks. Skin pigmentation, especially local pigmentation needs to be taken into account so that the result will be natural in appearance, and without sharply defined 'boundaries" having been created. And as we age, our skin becomes less elastic, and gravity begins to take its toll. The probability of success of a face lift can also depend on the general shape and structure of the facial bones. Some people are better candidates for a face lift than others. In most cases, the procedure will involve a tightening up of any sagging in the middle of the face, and removal of excess fat under the chin, or any fatty tissue that is out of place. Deep creases below the eyelids and between the nose and mouth will also be eliminated. The Procedure - Even though one may feel they have undergone a major makeover, and in a sense this is true, healing time is fairly rapid because the surgery is not as invasive as one might suppose. Incisions are generally small in size, and are usually limited to around the ears, and occasionally on the scalp. The incisions serve as entry ports for the instruments used in separating the skin, and the muscles directly under the skin, from the deeper facial muscles. The skin and surface muscles are then literally lifted, or pulled away from the deeper muscles. In some cases excess skin, and even some muscle may be removed, depending upon what the plastic surgeon is attempting to accomplish. The remaining skin is then stretched into the desired shape and sutured back in place. Outpatient Surgery Is The Norm - Even though face lift can take 2 hours, and sometimes double that, it is normally done on an outpatient basis, and the patient can usually go home the same day, though in some instances spending a night in the hospital may be advised. This alone suggests that face lift recovery is not going to be a long and involved process. The face will be swathed in light bandages for at least one day, and probably for 3 or 4. When the bandages have been removed the patient will probably not wish be attending a formal dinner or partying, as the face is apt to be black and blue and swollen. It can be 6 weeks before recovery is considered to be 100%. Plastic surgeons recommend that a face lift not be performed within 3 months of an important event, such as a wedding, to give the face time to heal. No Smoking Allowed - To make face lift recovery go as smoothly as possible, there are a few things to be aware of. First and foremost, smoking is a definite no-no. Even wearing a nicotine patch if one is in the process quitting smoking is inadvisable. In fact a reputable plastic surgeon would refuse to do a face lift is the patient has not quit smoking at least a month before the surgery, or is wearing a nicotine patch. Nicotine inhibits the healing process and the presence of it in the system could result in further restorative surgery being needed. Fluid accumulation, or a collection of blood beneath the skin, called hematoma, or poor wound healing can affect both the time and success of recovery. There is also the possibility of infection, especially since a large area of tissue in involved. For the most part though, recovery for most patients goes well, with any discomfort occurring in the first few days after the procedure. Such discomfort is normally managed with over the counter or prescribed pain medications.